“I began a love affair with oil painting because I like using oil’s vibrant color. I choose to paint colors, interesting shapes, and edges, because they reveal to me a deep sense of what is important in my life,” says Sabo. Painting is a way of life for Sabo. She is inspired by her daily environment, her travels, and an absolute awe of nature. She loves the colorful world in which she lives on the Chesapeake Bay. 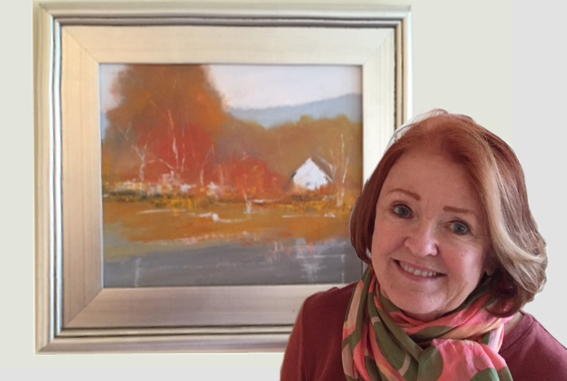 Brilliant sunny days, wild nor’easter storms, rolling hills and bucolic scenes of southern Maryland are part of every-day life and viewed from her studio and home. 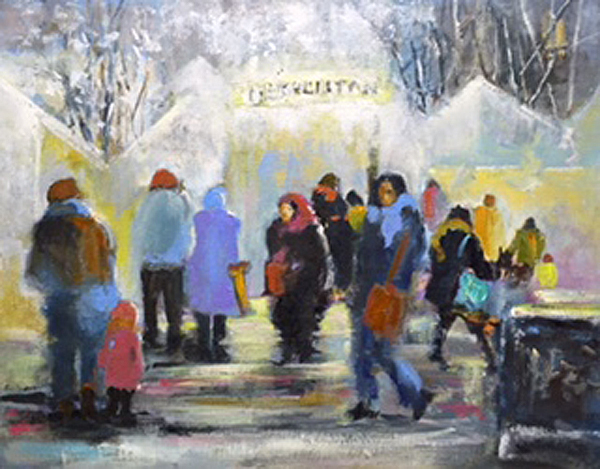 Her loose abstractions also capture forests, water scenes, the streets of Paris and markets along the Champs Elysees. A Few of My Favorite Things is Sabo’s third solo exhibit at Touchstone Gallery. She is an award-winning member of the Catharine Lorillard Wolfe Art Club in New York City, established in 1896, and a signature member of the Allied Artists of America, also of New York City.